How do I configure Default Sequences for a Gem Project? Modify your project settings to set a default sequence for your project. 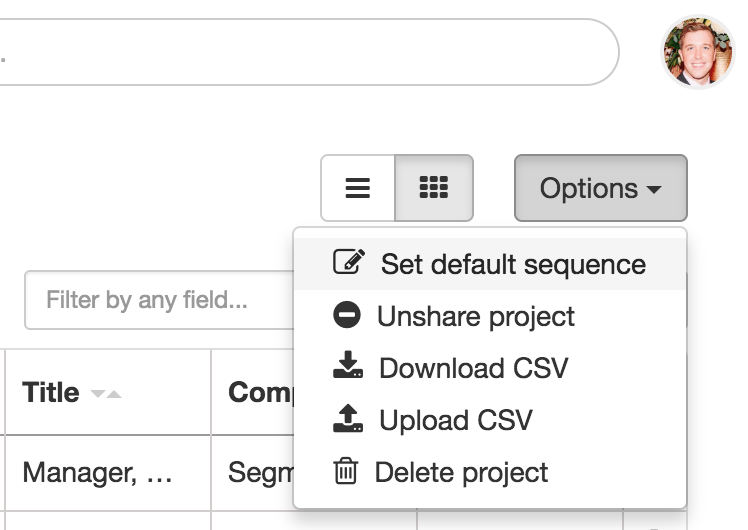 From Projects, click Options>Set default sequence. Now, whenever you add someone to a project, Gem will automatically create a draft alongside LinkedIn with stages from the default sequence pre-populated. If Gem cannot find an email address for them, they will instead be added to the project's default InMail sequence. Need help configuring Default Sequences for a Project in Gem? Feel free to reach out to the Gem team by emailing us directly at support@gem.com or press "Chat with Us" in the Gem home page.